Among penitence and celebration of life, na immersion in the biggest religious manifestation of Recife, The festival of our lady of Conception. A gathering of memories with the visceral and festive religiousness of the people of the Brazilian northeast. * Director, screenwriter and photographer of the documentary feature film KFZ 1348. (35mm work in progress), winner of Documenta Brasil Award with execution backing. A TV version of 48 minutes was exhibited by the national channel STB, watched by around 150 thousand people. * Scriptwriter and director of the documentary feature film Um Lugar ao Sol, award winner in the Ary Severo/ Firmo Neto awards with execution backing. (35mm in development). * Author of the urban intervention called gaiola, which took place in the SPA das Artes 2005. The work rendered the selection at the Cartes Flux Festival 2006, in Espoo, Finland, place that hosted the unraveling of the project in a video-installation. The video was also selected for the showing of International Videoart Festival- Athens 2007, for the Filme Livre 2006 in Rio de Janeiro and for the Colombian Festival Cine a la Calle. *Author and developer of the short-film/video-installatio Ao Norte, selected so far to SP International Short Film Festival, to Tehran International Short Film Festival, to Alternativa Festival de Cinema Independent of Barcelona, to the International Short Film Festival of Rio de Janeiro, to the Tiradentes Cinema Showing, to the Short Film Showing of Goiâna, to the Filme Livre and Video Festival of Pernambuco. This short film won the Best Experimental Short Film Award by popular and official jury at the Alucine Film Festival of Toronto, the Cartes Flux (Espoo, Finland) and Curta Natal (mini-DV/3´40). * Host, screenwriter and producer of the Curta PE program, a program of short films from Pernambuco shown on university, public and educative TV. * 1st assistant director in the short-film Siba e o Fuloresta do Samba, directed by Marcelo Pinheiro (35mm 15´). 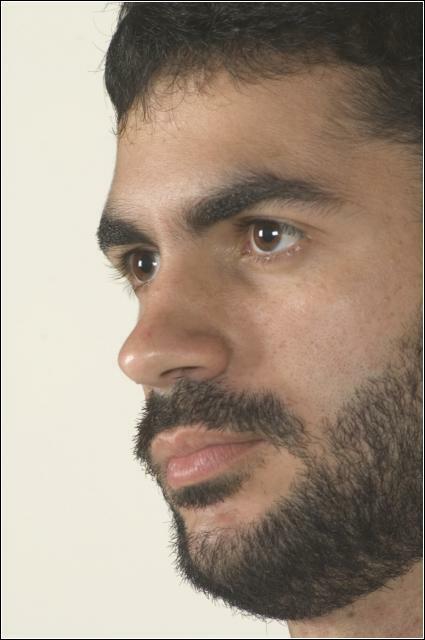 * 3rd assistant director of the feature film Cinema, Aspirinas e Urubus, directed by Marcelo Gomes. The film was selected for the showing Un Certain Regard, in the International Festival of Cannes 2005 and has summed up more than 20 awards (35mm 104, 2005). 3rd assistant director of the feature film ;Baixio das Bestas, directed by Cláudio Assis and awarded with the Tiger Award at the Rotterdam International Film Festival. Gabriel Mascaro is an artist whose work transits between the cinema and the contemporary visual arts, involving varied sorts using digital support. He is graduated in Social Communication in the Federal University of Pernambuco (Recife - Brazil), with qualification in Radio and Television. He has already directed music videos, fiction videos and documentaries. His current work involves in the direction of building a hybrid project with dialogues between the documentary and the arts, performances, urban installations and interventions. His first experience with cinema was through a direct assistant in the renowned Brazilian movie called “Cinema, Aspirinas e Urubus (Cinema, Aspirins and Vultures), directed by Marcelo Gomes, that rendered classification in the Cannes Festival in 2005. Mascaro was too times director assistant of Claudio Assis, winner of Tiger Awards 2007 in Roterdam with the feature film "Baixio das Bestas" (Bog of Beasts). Since then, he was contaminated by the possibilities of creation from cinematographic imagistic and plastic speech and of new technologies, where he searches for a radical maturing of experimentation of language. He is developing a documentary feature film called "KFZ-1348", about a history of an old car as a device to meet all owners of this object through the time. Short documentary presenting the performance and other moments of the East-Turkish band Sarikamis at MEDIAWAVE Festival’s 1. May at the Monostori Erőd (Fort Monostor) in Komárom. The band plays authentic Kurdish folk music and the members live in the town of Sarikamis, in the Eastern part of Turkey mostly inhabited by Kurdish people. Still image, moving sound. A hypnotic, meditative signal is transmitted continuously on 145 kHz long wave. A still image lasting 1 second for each kHz of carrier wave frequency, of the interior of a radio, illuminated only by the glow of the valves, is accompanied by the moving sound of the demodulated signal! In Rábapatona chickens and parabola dishes are disappearing day by day. Is the water-monster, living in many people's memory a legend or reality? That is what the film makers are trying to find out.